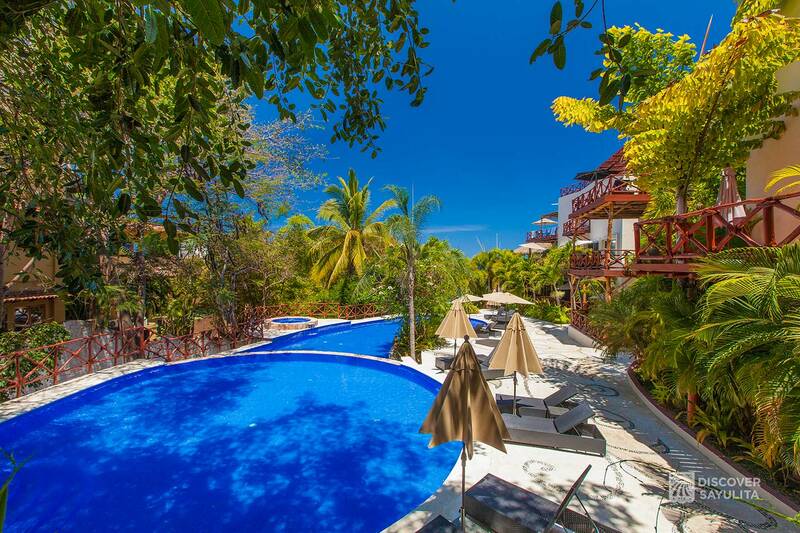 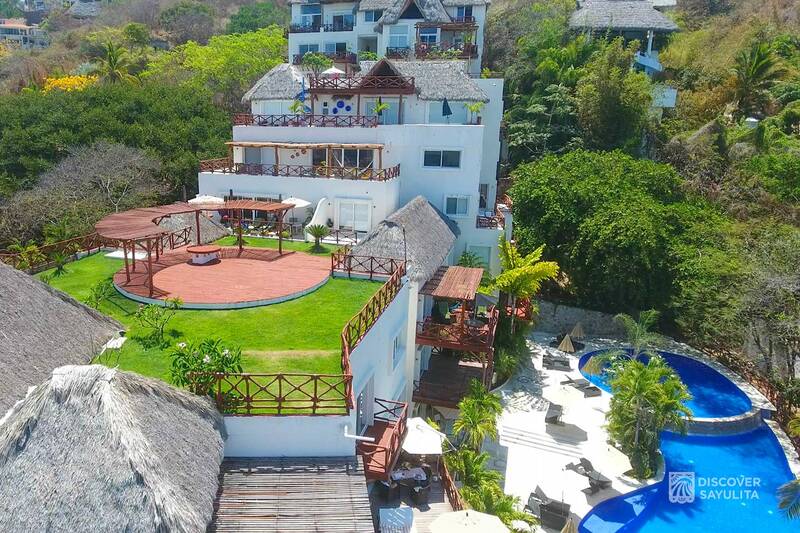 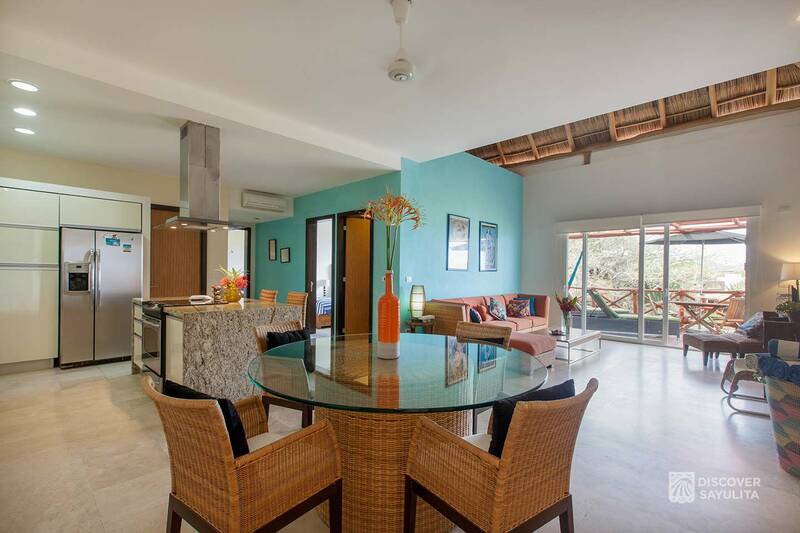 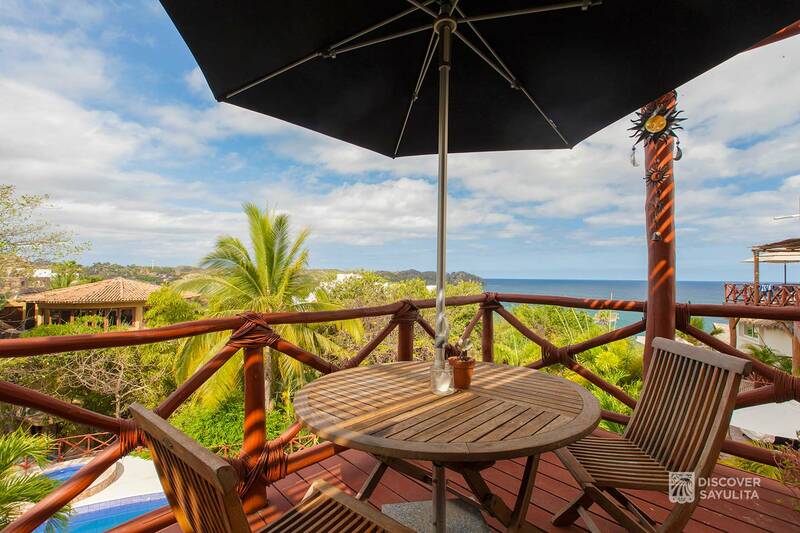 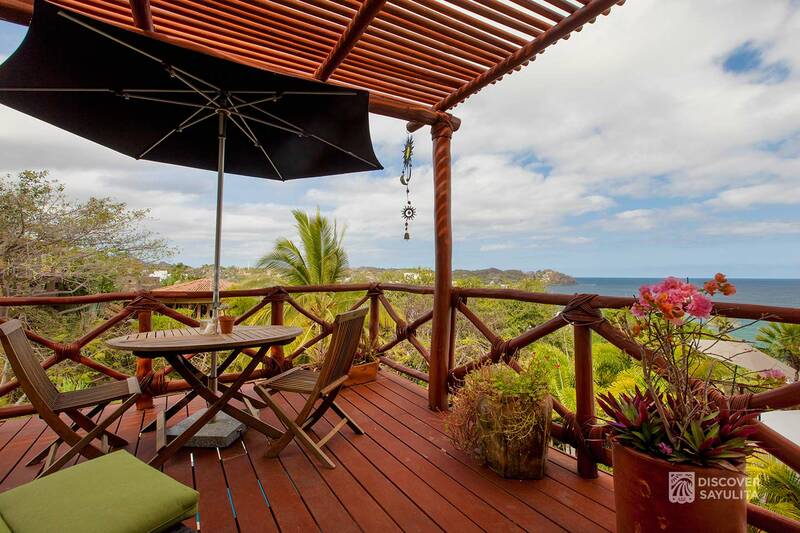 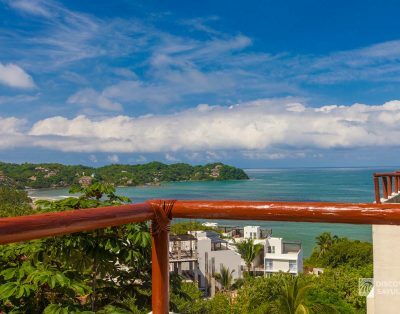 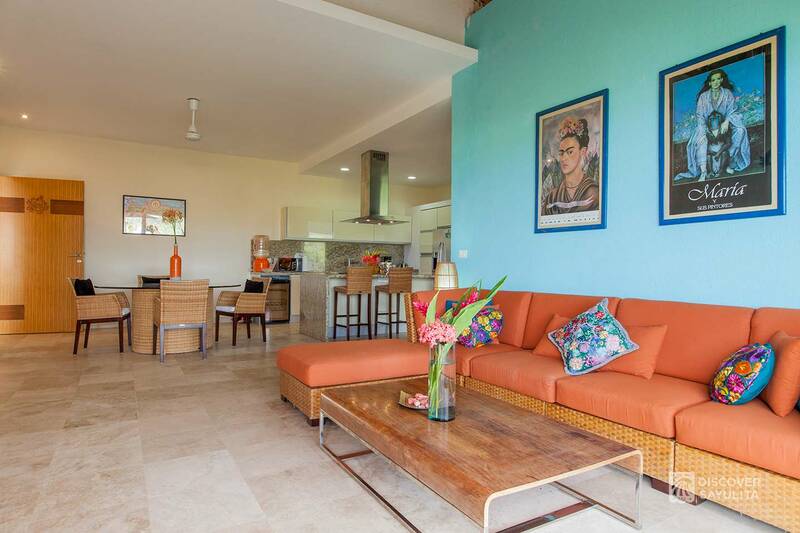 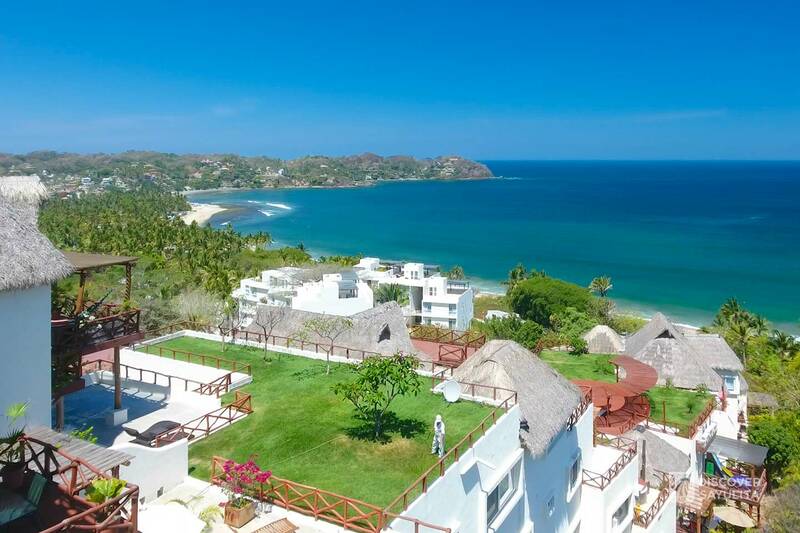 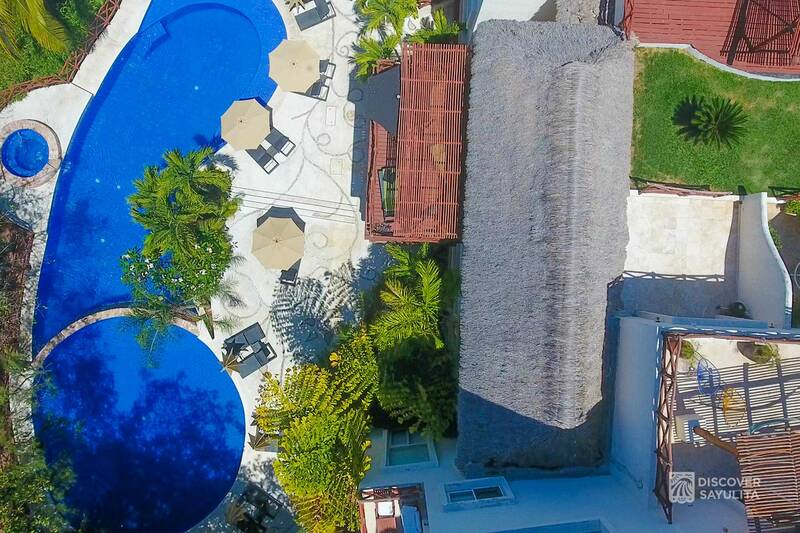 Villa Maria in the Pajaro de Fuego complex in Sayulita is a two-bedroom luxury condo with spectacular sea view. 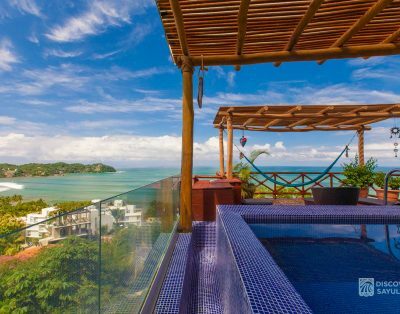 The villa is set under a romantic palapa rooftop opening out to a wooden balcony overlooking the ocean and distant mountains. 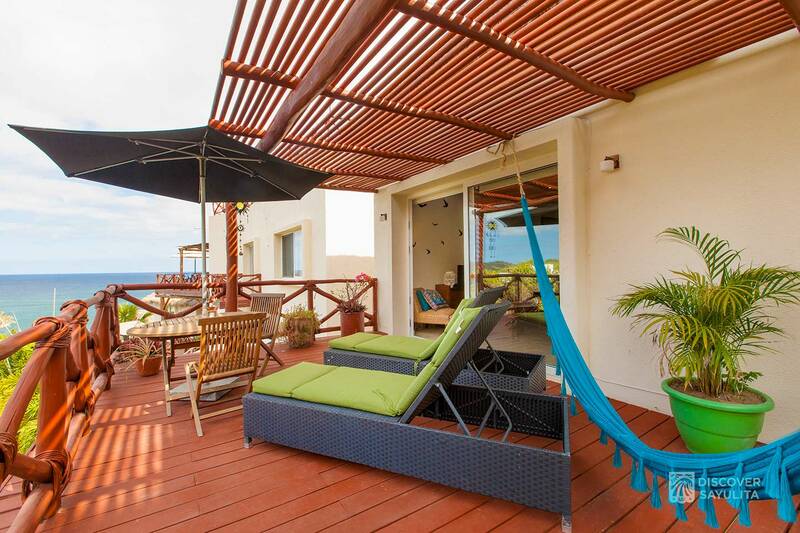 Lounge in the swinging hammock or dine on the balcony surrounded by tropical flowers. 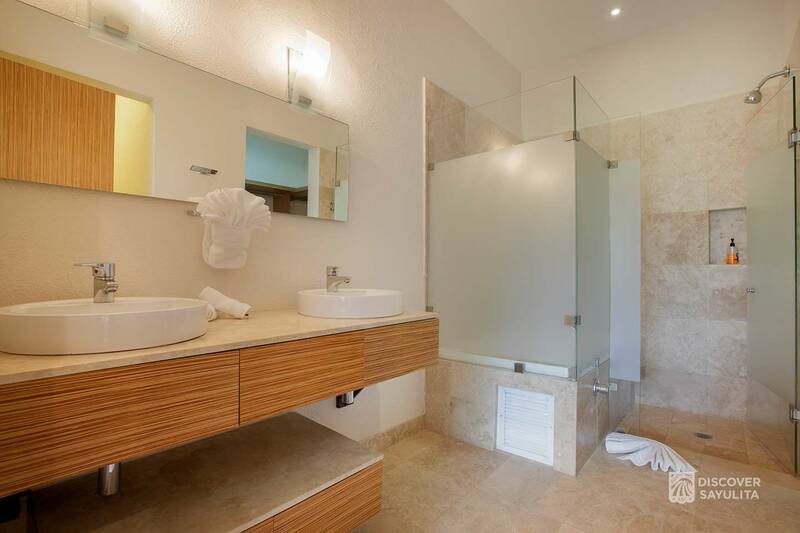 The master suite has a jacuzzi bathtub and spacious walk-in closet. 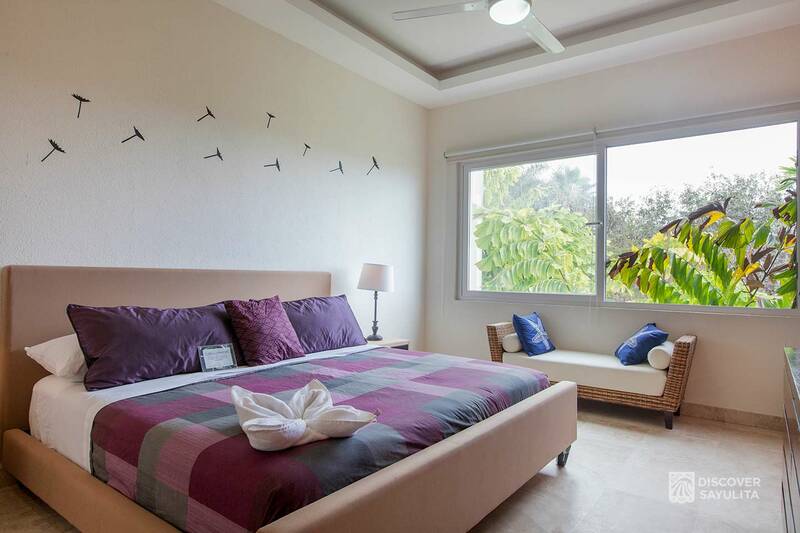 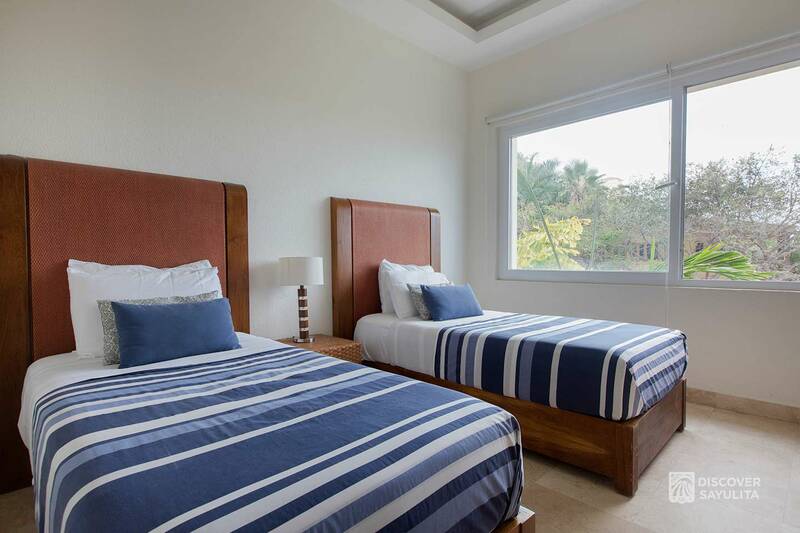 Each bedroom has a private bathroom and comes complete with comfortable pillow-top mattresses and fine quality linens. 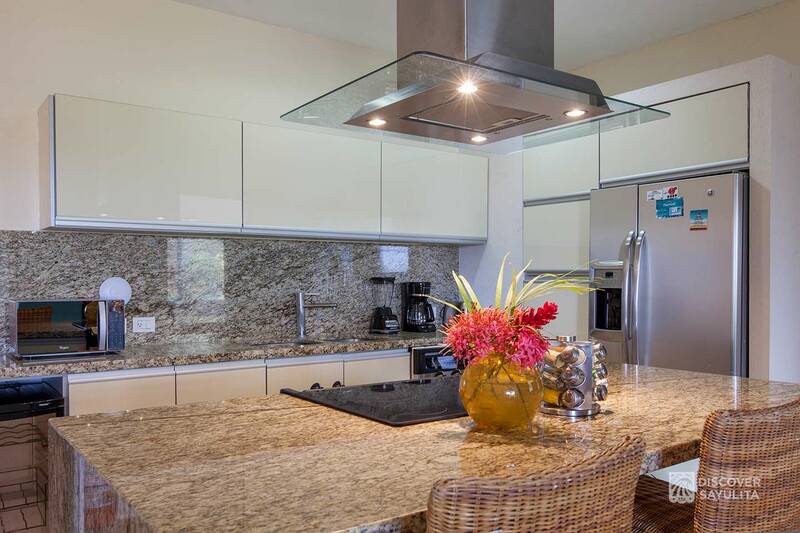 A spacious kitchen and breakfast bar includes flat-top electric stove, coffee-maker, blender, microwave and plenty of preparation space. 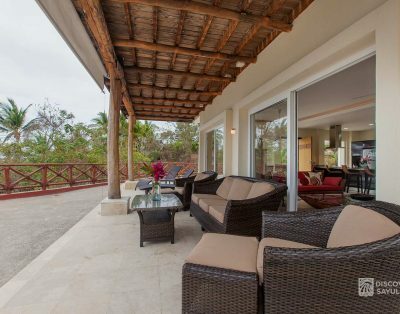 The floor plan is open and perfect for entertaining. 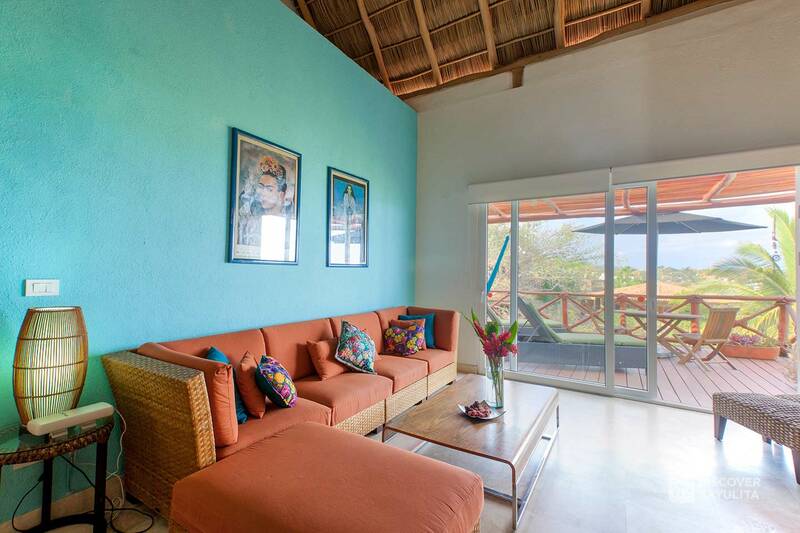 Cable TV, DVD, internet, daily cleaning and concierge services are included. 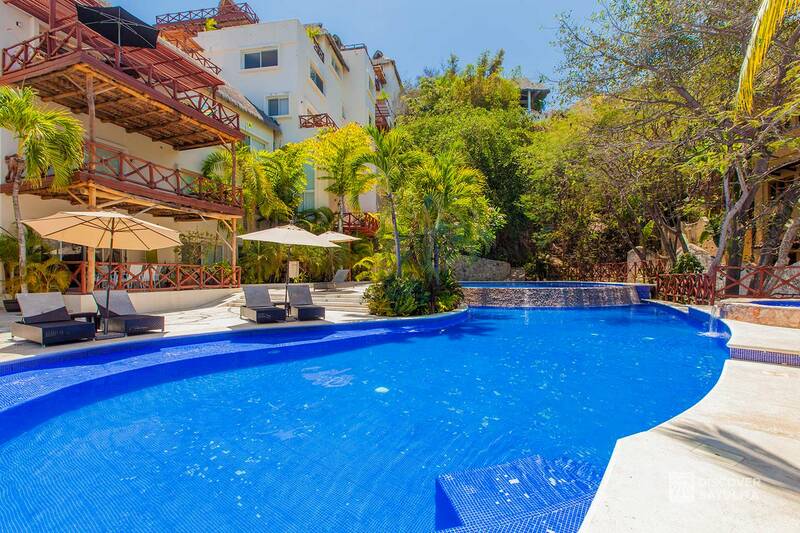 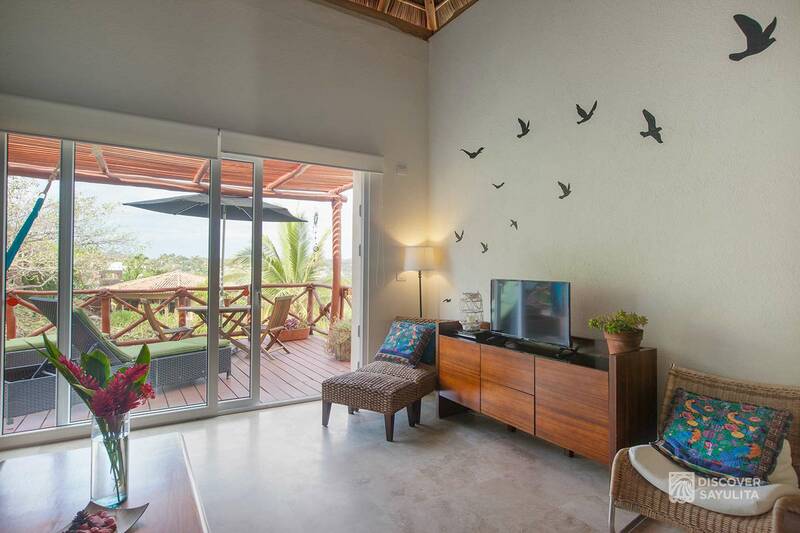 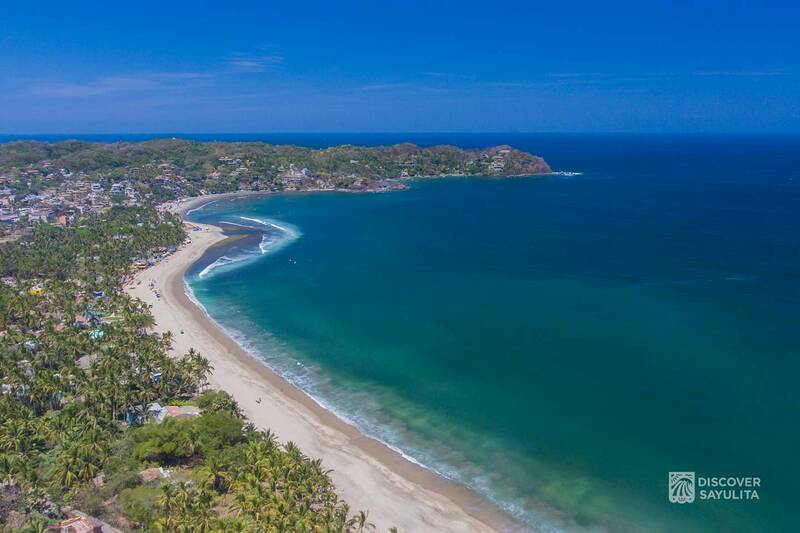 Pajaro de Fuego´s luxury condos border the tranquil north beach in Sayulita, a short walk to the town plaza. 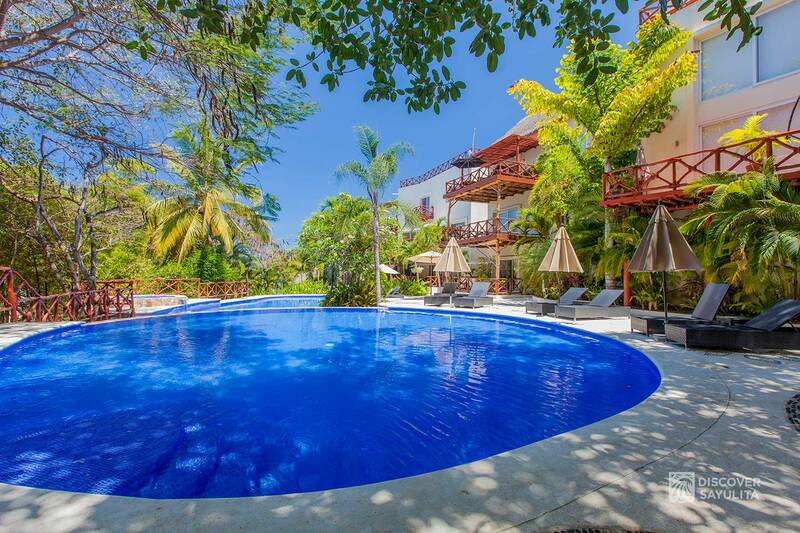 Enjoy swimming in the infinity pools, relax in the whirlpool, or watch the sunset in the tropical roof gardens. 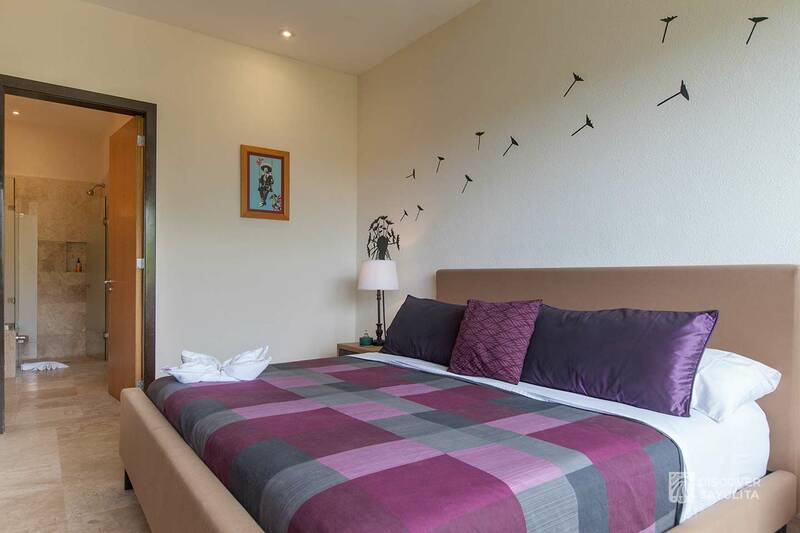 The complex has garage parking, 24 hour security and on-site staff. 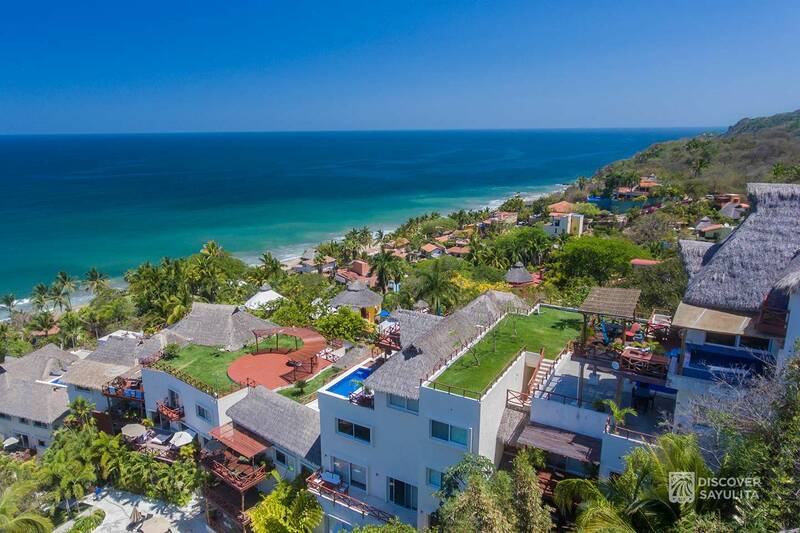 Villa Maria is ideal for families and couples seeking comfortable and luxury accommodations at a reasonable price in beautiful Sayulita.